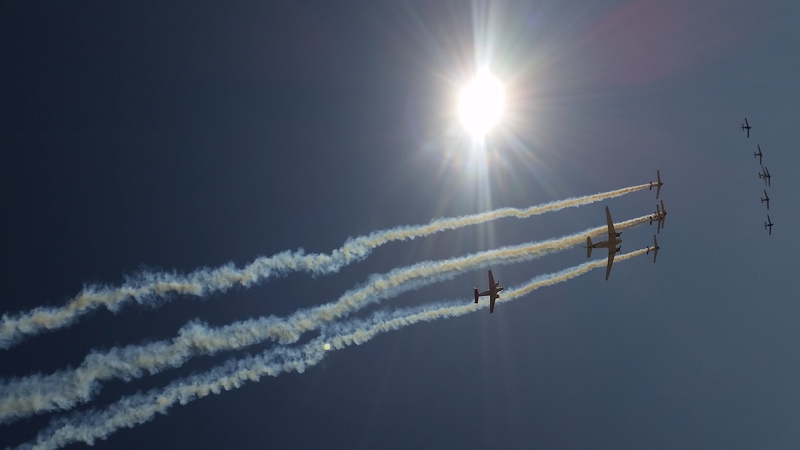 I was taking pics of a flying formation at the Rand Air Show. 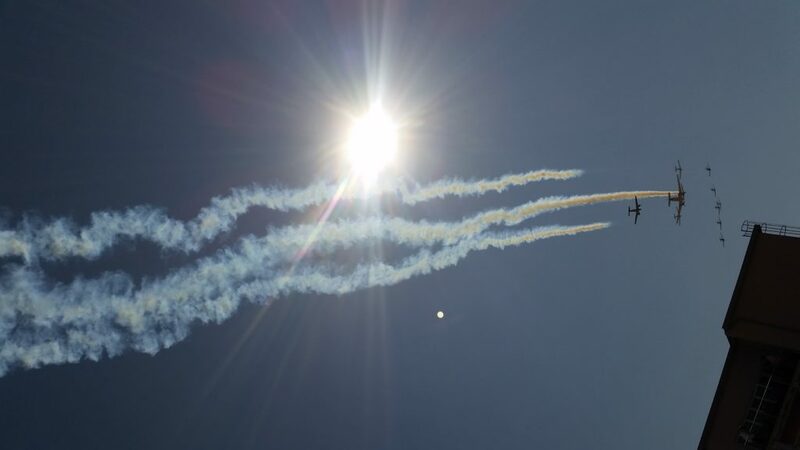 I took the picture blindly as I was looking into the sun and just hoped I had managed to capture the formation. At home later in the day we were going through the pics when we noticed this bright circular object near the formation. When we zoomed the picture on my phone it showed four dots within the circular … similar to a button. The second pic taken shows a few of these dots within the circular object when it is zoomed. While reading the report I thought it would be another case of lens flaring, especially since you mention in the report that you were shooting towards the sun. When I opened the images I thought I was right. Defintely looked like a case of lens flares. The photos have all the characteristics of a typical lens flare photo (https://filmcameracourse.files.wordpress.com/2012/01/lens-flare-diagram2.jpg), but as I zoomed in on the circular “hotspots” I also noticed the dots within the circular spot as well as the well defined/darker outer edge of the circular objects. Definitely an interesting case. Out of curiosity- what phone/camera were you using? 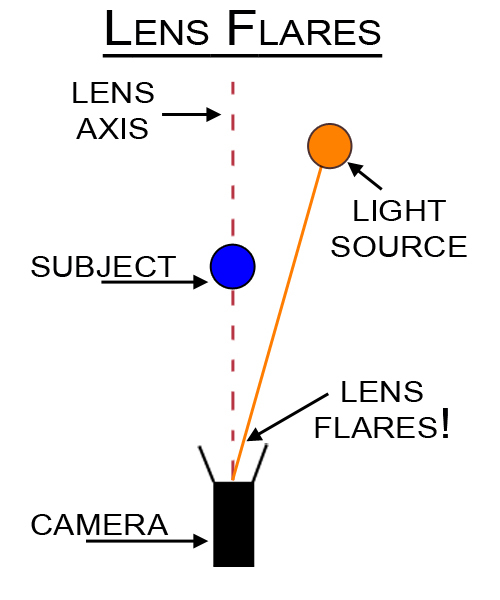 I’ve looked at a number of UFO reports which can be attributed to lens flares, but I can’t recall any case in which the flare had a well defined/darker outer edge or spots within the circular object. Thank you for your comment. We also had a photographer look at it before I posted the pic and he also thought it was a flare until he looked closer. The dark outer ring and circles within it are definitely strange. I was using my Samsung S5. Same problem my wife is having every time she includes the sun in her photos. S5.